So, remember how I resolved to learn more practical recipes in my last post? This has to be one of the few that I do have under my belt! 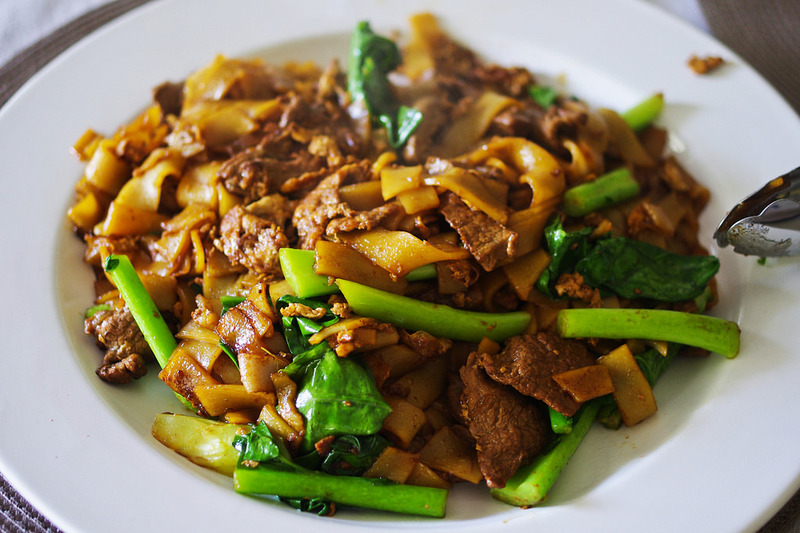 In fact, if I had anything close to a signature dish it would probably be this – pad see ew, or Thai stir fried noodles. Don’t get me wrong, nothing ever beats the glorious wok hei flavour that comes with ordering it in a proper restaurant. However, even if you don’t have an industrial stove on hand the homemade version’s pretty decent, if I do say so myself! 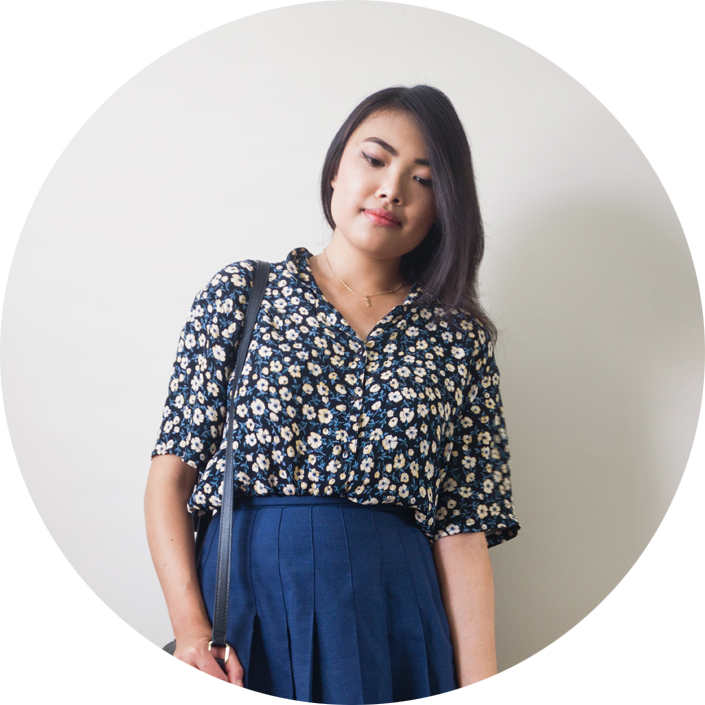 Besides, it’s cheap, easy and done in fifteen minutes flat (even less if you have everything prepared ahead of time). What more could you ask for? 1. Combine the sauces in a small bowl. In my opinion it should be tangy with just a hint of sweetness, but you can adjust it to your tastes. 2. Heat up the oil in the wok and sauté the garlic until slightly brown at the edges. Then add the beef and cook until the exposed sides of the meat are sealed. 3. 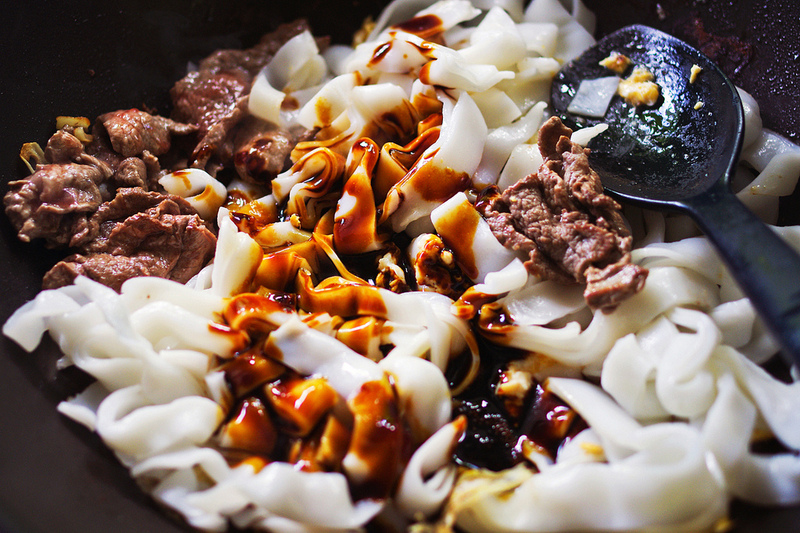 Shift the beef to one side of the wok by tilting it, then add more oil and crack in the egg. Using your spatula, scrape the sides of the wok and mix the egg so that it scrambles. 4. Add in the half packet of noodles and the sauce. 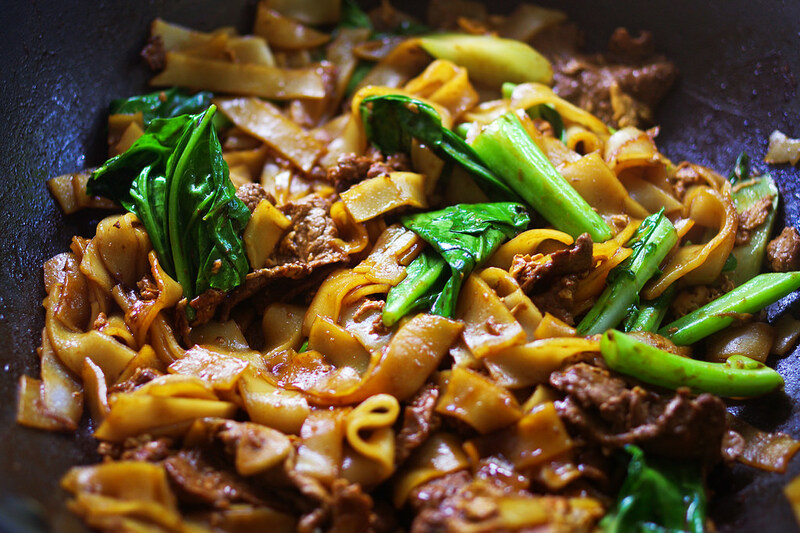 Toss everything around until the sauce coats all the noodles. 5. 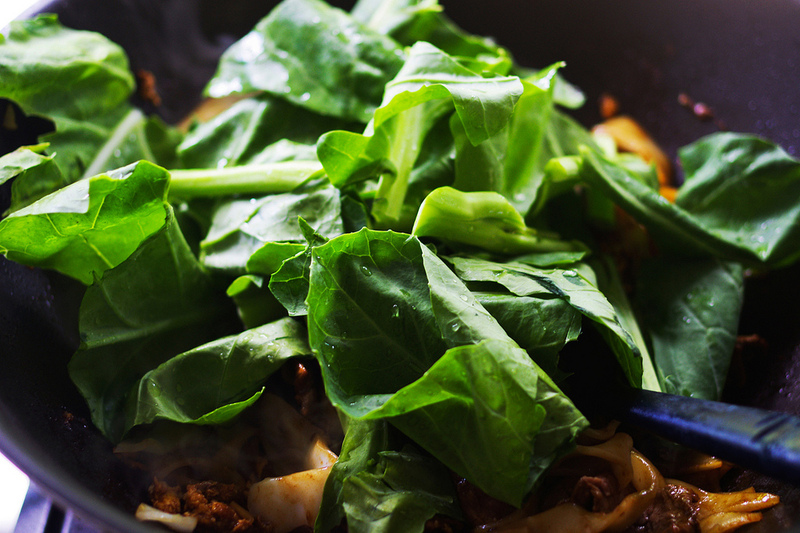 Add the Chinese broccoli, and cook for 4-5 minutes or until the greens are wilted. Finally, serve it straight out of the wok! Try not to use the noodles straight after you buy them. I find that they don’t absorb the sauces as well when they’re fresh, but one or two days in the fridge should fix that. You can use any protein instead of beef, such as pork, chicken or even seafood! Whatever you use, just don’t overcook it before adding the noodles or it’ll become tough. If you’re vegetarian you can always substitute the meat for tofu or veggies like baby corn, carrots, mushrooms, etc. 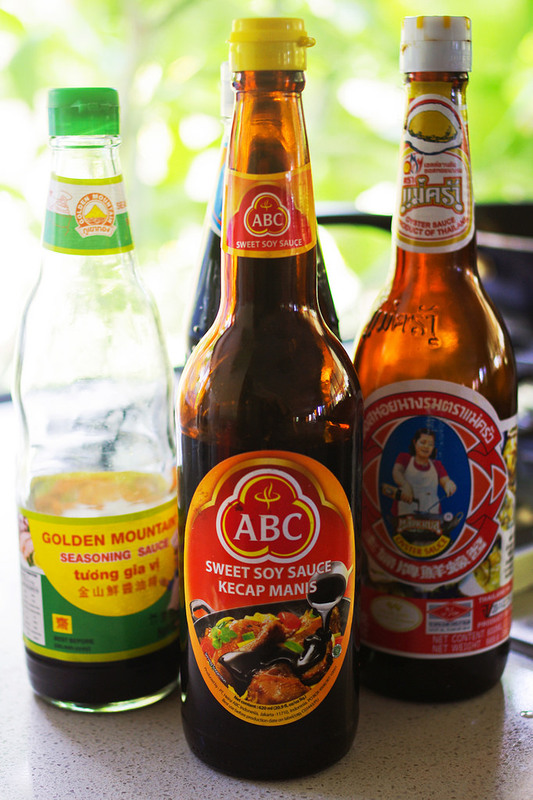 The oyster sauce can also be replaced by light soy, or something similar in taste. Just a fair warning – if you do make this, be prepared to feed a crowd! Cooking a whole packet of noodles (two batches) easily serves my whole family with leftovers to spare. I’m pretty sure they’re getting sick of me making it all the time, but hey! I like to cook what I know. 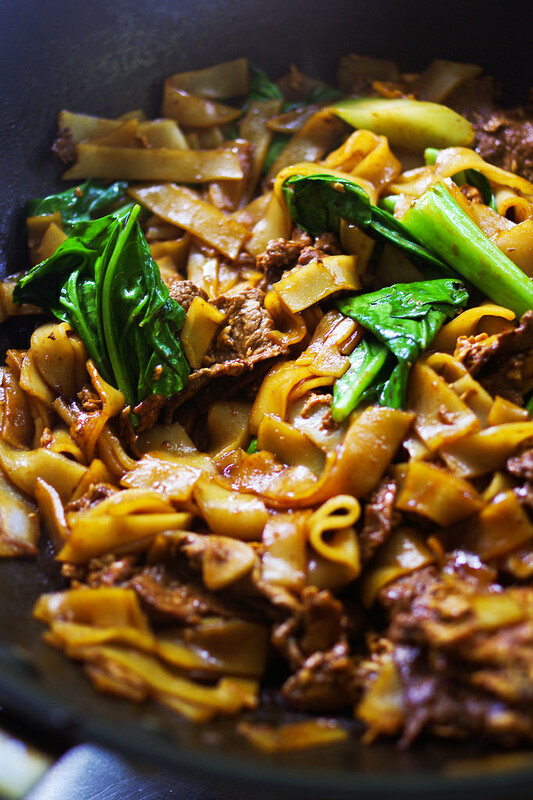 Is anyone else out there a diehard fan of pad see ew? Also, what’s your so-called signature dish, if you have one? I think I need all the inspiration I can get to start cooking proper meals. Anyway, until next time!